1976. Released in South Korea only. 1976 and 1978. Released in Japan only. 1980. Released in Poland only. 1980. Released in South Korea only. 1981. Released in East Germany only. 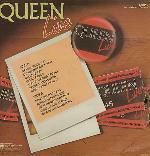 There are two different LP versions, the first has the Queen crest on the front cover and red LP labels, while the second has a group shot on the front cover and blue LP labels. 1984. Released in the USA only. 1984. Released in the Netherlands only. These 'albums' simply package two studio albums together, with their inner sleeves, in a new outer sleeve. The four studio albums in these releases were also released together in a boxed set in the Netherlands in 1982, called 'The Hit Box'. 1985. 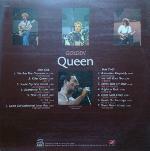 Released in Japan, Brazil, Australia and South Africa, on LP only. 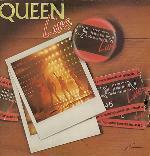 The album was also released in New Zealand on LP and cassette, retitled as 'Queen Live In Concert'. These albums are edited versions of the 1979 'Live Killers' album. The Brazilian release omits 'Tie Your Mother Down' but adds 'Love Of My Life'. 1985. Released in Brazil only. 31 March 1989. Released in South Korea only. 1991. Released in South Korea only. #4, 2 March 1992. Released in the USA and Lithuania, and also released as a video. The Lithuanian release was split over two individually available LP's. 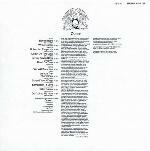 #11, 15 September 1992. Released in the USA and Canada, and also released as a video. 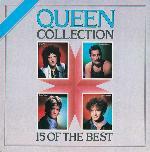 This set is different to the 1981 UK 'Greatest Hits' album (and it's subsequent 2004 USA reissue), adding 'Body Language' and 'I Want To Break Free' but losing 'Bohemian Rhapsody' and 'Flash', and also moving some tracks to different positions. 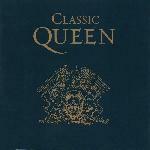 The CD was also issued in 1998 as a sampler for the boxed set 'The Crown Jewels'. 7 March 1995. Released in the USA only. 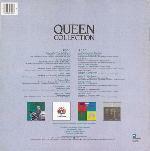 This album is a USA release of the 'Queen At The Beeb' album, previously released in the UK in 1989. All tracks were later included on the 'On Air' album in 2016. 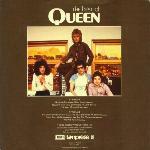 It was also issued as a picture disc, but this was a promo-only release. 1996. Released in Canada only. 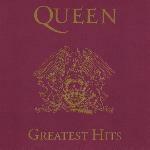 This is a double CD set, CD1 is identical to 'Greatest Hits' and CD2 is identical to 'Greatest Hits II'. 14 February 1997. Released in France only, reaching no 3 in the charts. 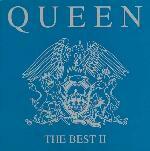 This compilation, along with Volume II, includes all of the tracks from 'Greatest Hits' and 'Greatest Hits II', plus two 'Made In Heaven' tracks. 14 February 1997. Released in France only. 18 November 1998. Released in Japan only, and also released as a video. Later re-released with an extra track on 14 June 2004, again in Japan only, and also released as a DVD. Selected tracks from the album were probably also released on the 'Artist Karaoke Series' USA CD. It was also released in a 2004 South Korea boxed set, alongside the album. 28 June 2000. Released in Japan only. This is a compilation of tracks used in TV advertisements in Japan. A similar album was later released in 2008, titled 'In Vision 2008', which featured six of the tracks from this album. #1, 28 January 2004. 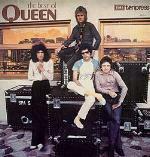 Released in Japan and Taiwan (retitled as 'Jewels - The Very Best Of Queen'), and also released as a DVD. It was re-released on CD on 10 December 2008 with two bonus tracks, and again on 4 December 2013 on the SHM-CD format. 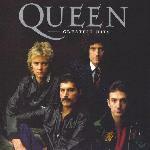 Later released in 2007/8 in China, without 'Don't Stop Me Now' or 'Bohemian Rhapsody' due to censorship. 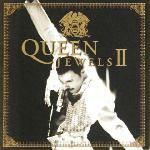 A second volume, 'Jewels II', was released in 2005. The two volumes were released together in the 'Jewels I & II' boxed set in Japan in 2005. 7 June 2004. Released in Spain only. This is a Spanish equivalent of the UK cast album released in 2002, while a German equivalent was later released in 2005 and an Italian equivalent was released in 2011. #42, 17 August 2004. Released in the USA only. This album is essentially a re-release of the 1981 UK compilation (and different to the 1992 USA release) with three bonus tracks. An exclusive version available from the Best Buy retailer contained a free DVD in an outer slipcase. 23 August 2004. 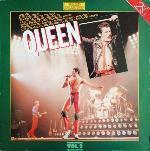 Released in Iran on cassette only (if sales were high, it was also due to be released on CD). 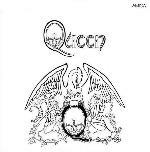 This album was the first rock album to be officially released in Iran. 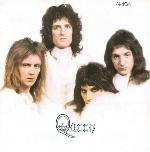 It includes a colour inlay, a history of Queen in Persian, and an (alleged) explanation as to the meaning of Bohemian Rhapsody. The set is completely different to the original UK 1981 album. 26 January 2005. 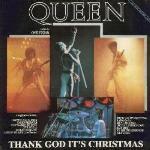 Released in Japan only (possibly also in Taiwan), and reissued on 4 December 2013 on the SHM-CD format. This is the sequel to the 'Jewels' album from 2004. 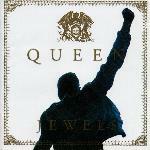 The two volumes were released together in the 'Jewels I & II' boxed set in Japan in 2005. 30 May 2005. Released in Germany only. This is a German equivalent of the UK cast album, released in 2002, and the Spanish cast album, released in 2004, while an Italian equivalent was released in 2011. #45, 11 April 2006. 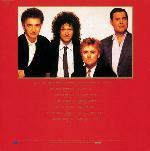 Released in the USA only, to coincide with Queen's appearance on 'American Idol' and the USA tour. A very similar album titled 'Icon' was later released in 2013, again in the USA only. 10 July 2007. Released in the USA only, exclusive to Wal-Mart shops. This is a CD and DVD set, with ringtones of 'Play The Game' and 'Good Old Fashioned Loverboy'. Despite the name, a second volume has never been released. September 2007. Released in the USA only. 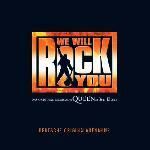 This is a compilation of karaoke versions of Queen tracks, probably all taken from the Japanese album 'Greatest Karaoke Hits'. December, 2007. Released in Brazil only. 27 February 2008. Released in Japan only. This is a compilation of tracks used on TV and in films. A very similar album was previously released in 2000, titled 'In Vision', which featured six of the tracks from this album. 2008. Released in Brazil only. 11 June 2013. Released in the USA and Canada only. 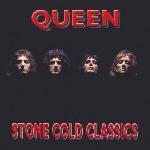 This was a limited edition release, and is very similar to the 'Stone Cold Classics' album which was released in 2006, in the USA only.